Water Bear Brought Back to Life After Being Frozen for More Than 30 Years | ATNNow - All the News Now The hardy tardigrade sets a new personal best. 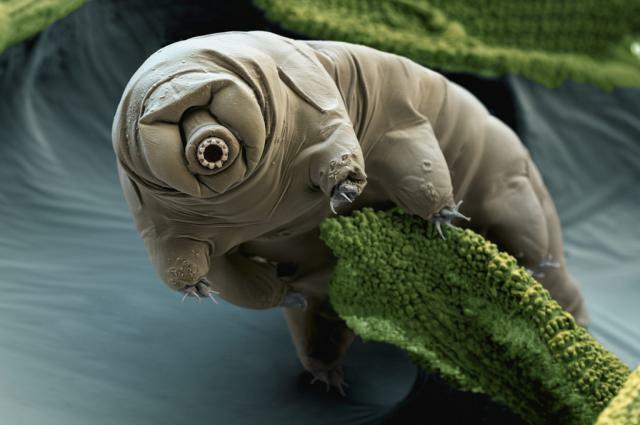 Is there anything these strange tardigrades cannot survive? An Antarctic tardigrade (Acutuncus antarcticus) or “water bear”, which was frozen for 30 years and six months, has been brought back to life by researchers from Japan’s National Institute for Polar Research. Not only that, it has produced 14 offspring with no deformities or abnormalities — they are perfectly healthy. This revival broke world records. Previously, a water bear had been resurrected after being frozen for just nine years. The researchers also thawed an egg that was collected and frozen with the tardigrade, and it hatched six days later and then produced offspring of its own. Pretty cool stuff! Tardigrades are really, really tiny — measuring less than 1 millimeter (mm) in length. They are also water-dwelling extremophiles, meaning they can live and survive in some of the harshest environments — including outer space! How? Well they have an amazing ability to slow or shut down their metabolic activities for large periods of time. When humans shut down their metabolic activities, we die. According to the research published in the journal Cryobiology, the tardigrade was collected with another adult and a single egg that were found among moss plants in Antarctica in November 1983. They were then stored at -20 degrees Celsius (-4 degrees Fahrenheit) and unfrozen in 2014. Since the tardigrades were frozen, their bodies underwent a process known as cryptobiosis, which involves the complete shutdown of all metabolic processes, including reproduction, development, and repair. Now this may sound extreme, however water bears are known for surviving some crazy conditions such as extreme desiccation, intense ionizing radiation, and boiling temperatures. The researchers defrosted both adult tardigrades and the egg — called SB-1, SB-2 and SB-3 (short for “Sleeping Beauty”) respectively — and they all started showing signs of life as the defrosting process was completed. Unfortunately, SB-2 soon died because it did not eat enough of the food provided. The next task for the researchers is to figure out what exactly goes on during the six or seven day long thawing process of the water bears. No matter the results, it is definitely going to be a long time before we completely understand these bizarre creatures.